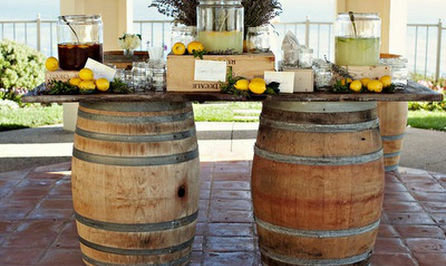 Our wine barrel bars are the perfect add on for your next event. 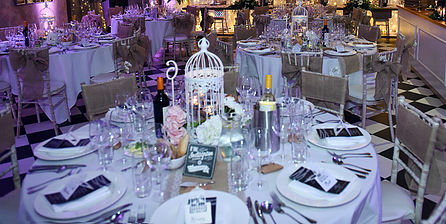 This can be used as a cocktail stand, walk up bar or a cake stand. This also comes with the 8ft wooden farm table top. 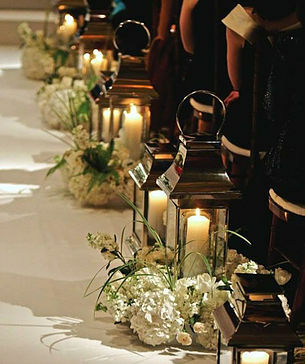 Our lanterns are so versatile and can be used down your isle, at the alter, on tables or to give an elegant touch to any lounge areas. Please enquire as to amounts needed and availability.